Microwave popcorns are super easy to make. But, they may pose risk of harm. 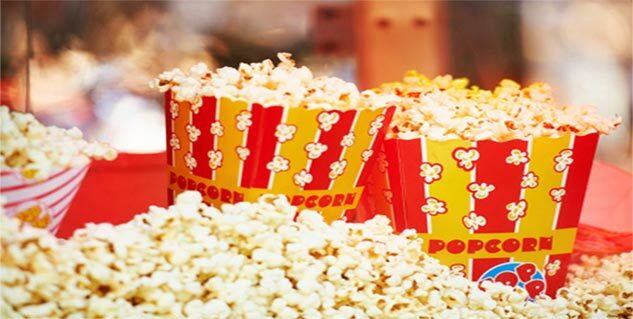 Chemicals may add toxins to the popcorn. Make your own popcorns at home. Do you get immersed in the tempted smell that fills your room when you put fresh batch of popcorn kernels in your microwave? Well, it may be soothing to your nose, but it’s not good for your health. That tempting smell comes from a synthetic butter chemical called diacetyl, which is used to add flavour to the popcorn. You may wonder how it is bad for your health. According to a research published by the Centers for Disease Control and Prevention, inhalation of butter flavorings has been linked with damage to functioning of lungs, commonly known as popcorn lung. Aforementioned chemical diacetyl is actually harmless when consumed but it becomes toxic when heated to high temperatures making it to vaporize. So, what happens in those factories? National Institute for Occupational Safety and Health had investigated people who worked in microwave popcorn factories and found that they had developed bronchiolitis obliterans, a lung disease which is characterized by fixed airway obstruction. The result of this investigation revealed that exposure to an artificial flavoring agent, 2,3-butanedione or diacetyl, was causing the disease. Apart from the use of diacetyl, manufacturers of ready-to-make popcorn packets used chemicals such as perfluoroalkyls, perfluorooctanoic acid and perdfluorootacne sulfonate to line the popcorn packets to them from soaking the grease. On heating, the above-mentioned chemicals may combine with popcorn creating havoc in your endocrine system, causing thyroid issues, increasing your risk for cancer and much more. According to a chemical research conducted by The University of Minnesota, there is a possible link between diacetyl found in microwave popcorm, brain protein and Alzheimer’s disease. However, scientists are yet to find how diacetyl increases risk of Alzheimer's. But, they are sure that the chemical can pass through blood-brain barrier. Instead of opting for ready-to-make popcorn packets, make your popcorn at home.